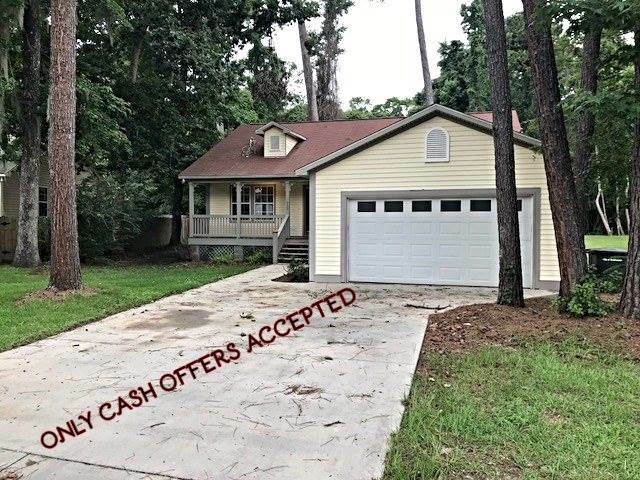 Cash Only- Super conveniently located in Camelot off Park Ave inside Capital Circle this 3 bedroom 2 bath home on a cul-de-sac is a must see! Engineered wood floors in living areas, tile in extra large kitchen & laundry, tile baths. Split plan with vaulted ceilings, gas fireplace, eat-in kitchen, rocking chair front porch and private covered porch out back. Missing all appliances and Property requires flood insurance. Sold "As Is", no disclosures available, all measurements approximate. Addendum will apply. Please allow 2-3 days for seller response. SchoolsClick map icons below to view information for schools near 310 Gawain Lane Tallahassee, FL 32301.